Man attacks worshipers at Argentina synagogue during Shabbat services with sharp object, throws stones at congregants. Anti-Semitism again hits Argentina. 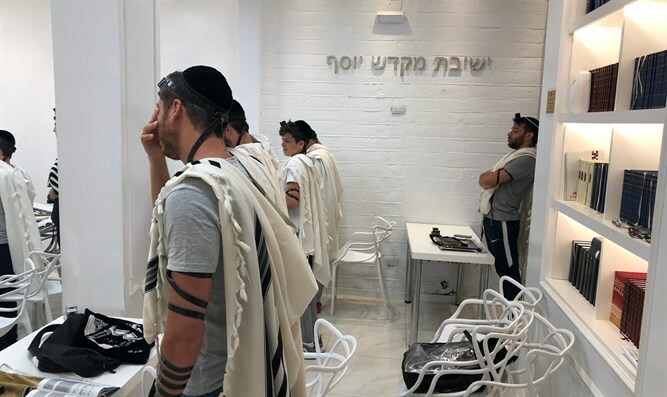 A man broke into a synagogue during Shabbat evening services on Friday night and threatened worshipers in in Buenos Aires. The attack took place at the Mikdash Yosef congregation in the Palermo neighborhood of Buenos Aires. During the attack, the assailant threatened the worshipers with a sharp object and threw stones at the congregants and a security guard. He also threw oil on the floor, causing several worshipers fell on the synagogue's entrance floor. One of the guards prevented further violence by pepper spraying the attacker. The attacker shouted anti-Semitic slogans and curses against the Jewish people during the attack. He was arrested when the police arrived. Rabbi Uriel Husni, the leader of the congregation, told Vis a Vis that "I never thought that something like this could happen. We had terror here. Together with security we were able to stop it. We are asking for police protection for the door of the synagogue."